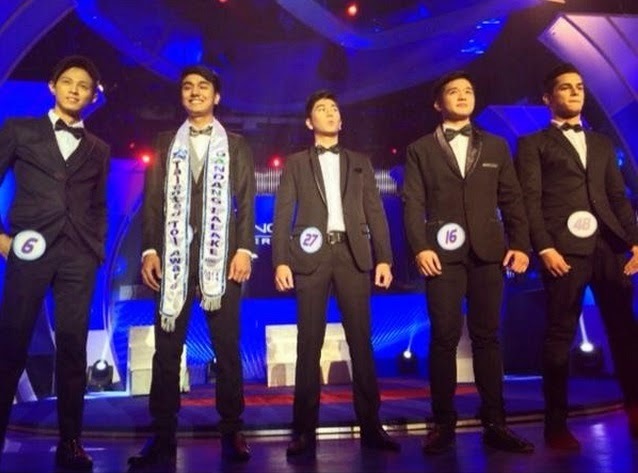 MANILA, Philippines - ABS-CBN's noontime show It's Showtime has named its first-ever grand winner of 'Gandang Lalake : Kuma-Career' on Saturday, October 18, 2014. Nikko Natividad, a waiter from Malolos City, Bulacan won the contest and will take home P300,000 cash prize. Guitar Coach Jiad Joseph Arroyo was hailed 'Gandang Lalake' first runner-up and to receive P200,000 while T-Shirt Printer Ajay Cabrera of Lipa City, Batangas bagged the second runner-up award and P100,00 cash prize. The 3rd runner up went to bartender Aldrin Javar. Orlando Gutierrez Jr. of Arayat, Pampanga won the fourth runner award. On Saturday, the top 15 finalists of 'Gandang Lalake' were chosen out of the 58-semi-finalists who have shown career-oriented job across different fields in the past three months. They were given the chance to showcase their talent, as well as their poise in the formal wear competition. The grand-finals of “Gandang Lalake” covers various and diverse professions, with a collection of contestants that include a businessman, tricycle driver, graphic artist, bartender, HR assistant, gym owner, barber, waiter and accountant. Among the judges in the Finals are Vice Mayor of Manila Isko Moreno, Filipino movie and TV actor John Estrada, actress-model Iza Calzado and 'Sample King' and It's Showtime co-host Jhong Hilario. The grand finals of 'Gandang Lalake' on Saturday topped online conversations with '#GandangLalakeGrandFinals', 'Top 15', 'John Estrada', 'Number 22' and 'bartender' among the trending topics nationwide.